Happy Saturday everyone! I'm extra excited about the new goodies this week. They are very unique and different and I had a blast designing them! I'm sure much of my inspiration came from the fact that my favorite show, Game of Thrones, is back on T.V. We also binge watched season 3 just before the new season aired. Not to mention the online restoration of an old 1800's Chateau in the heart of France I've been following! 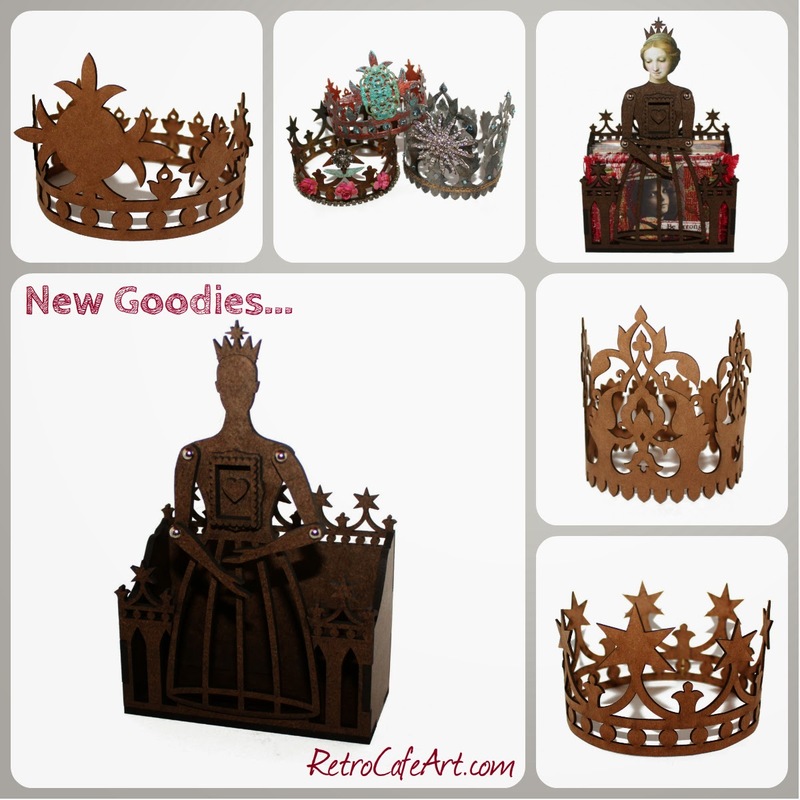 So I give you Regal Chipboard Santos Crowns, a fabulous Santos Doll Box Kit, and some Regal Stencil Board bits for those die hard Coffee Break Design Stencil lovers. I didn't forget about you! 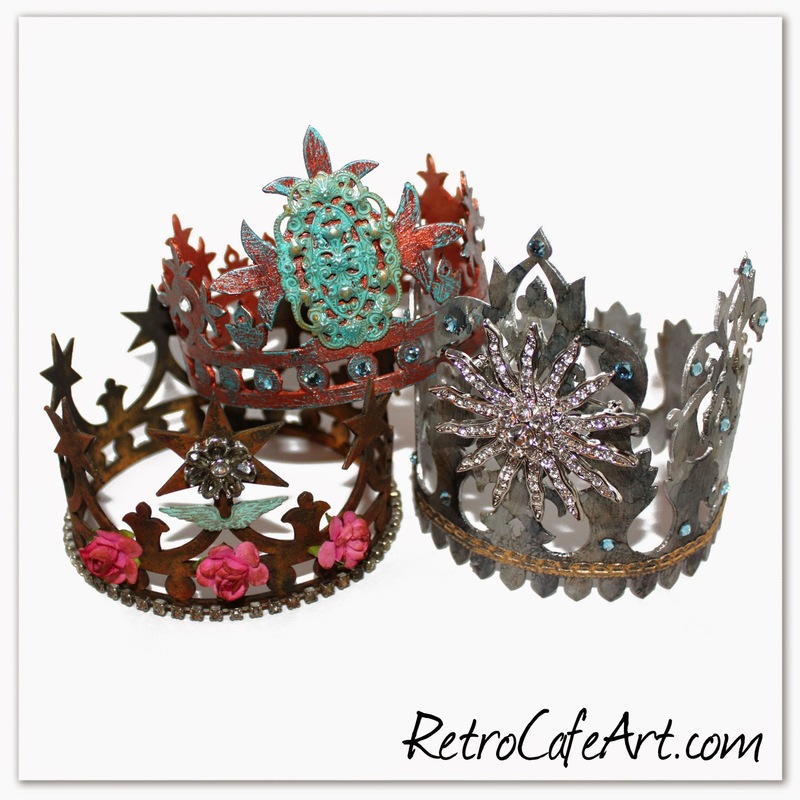 I'm absolutely enamored by the new Chipboard Crowns! Inspired by my latest obsessions. So I decided to play with all three. 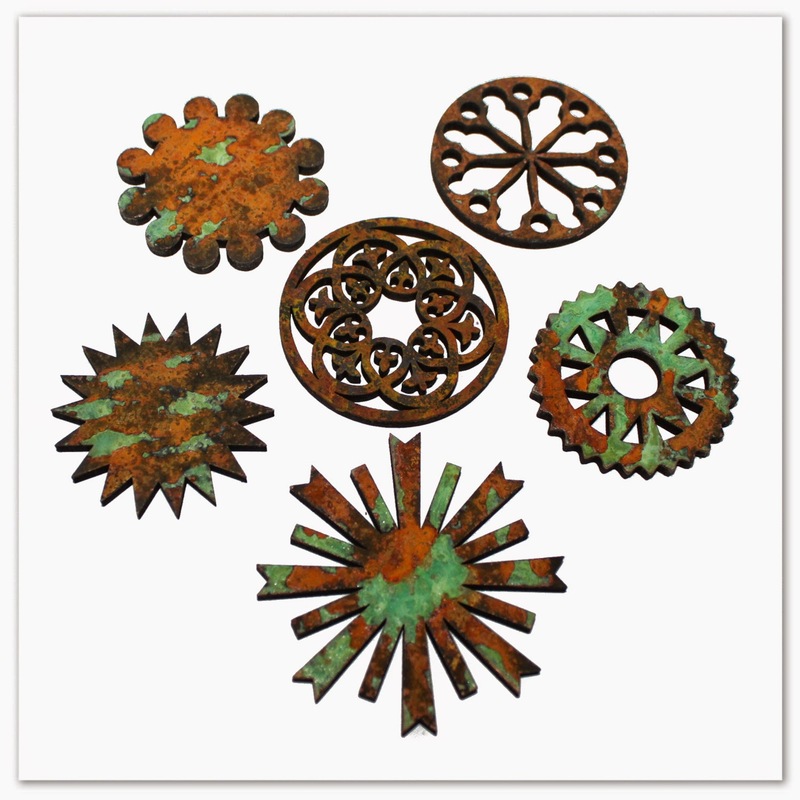 I wanted them to all have a metal look, and yet, challenge myself to use different techniques for each. I'll share a bit of the process below. The sky really is the limit with these! For Crown 1, I went with a Verday Paint Finish. 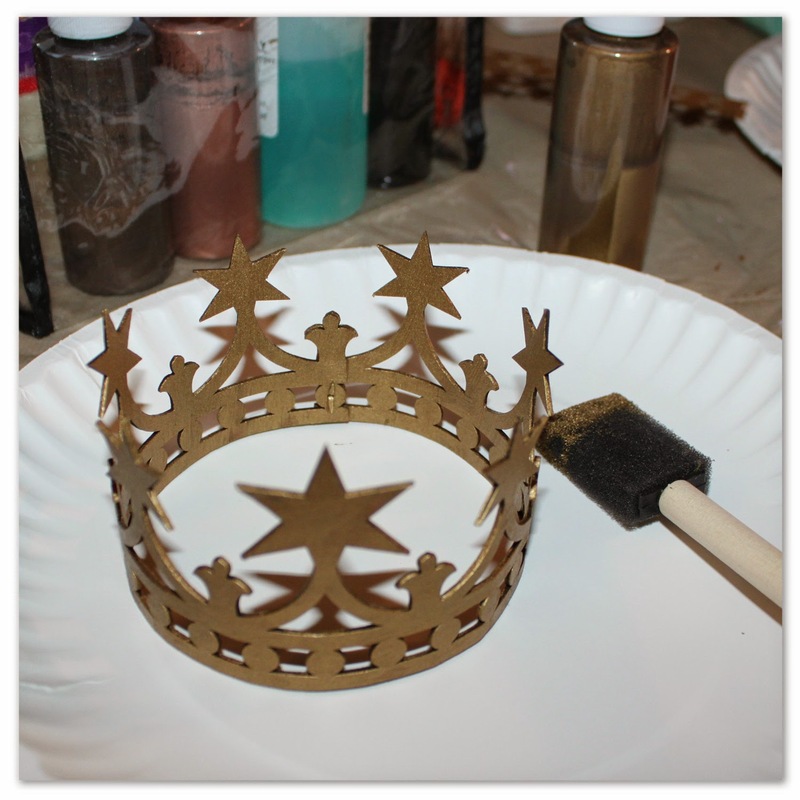 I used the Gold for the base and Iron for the top coat. I wanted a rusty look. Tip: When working with the Verday paints, I try not to let any go to waste. So I grabbed our new Halo Cut Outs, and used my extra paint. If you're already painting and spraying, you might as well work in a few other bits. Now these are all set to go for another project! 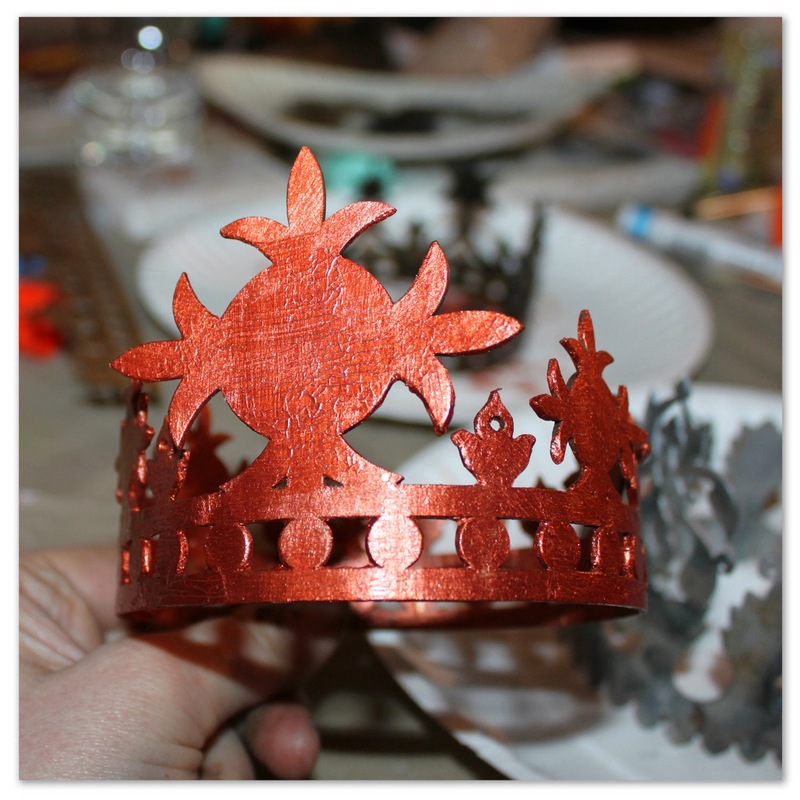 For Crown 3, I used Viva Copper Crackle Paint, direct on the raw chipboard. It worked great! I love this color! 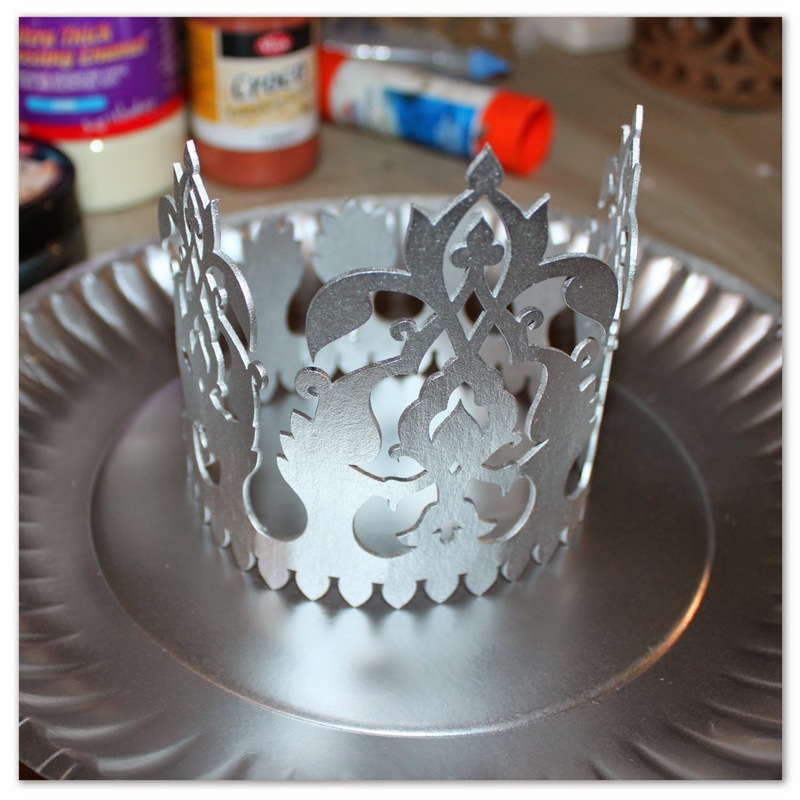 Crown 2 is pretty detailed, so first I sprayed it with Silver Spray Paint. This caught all the wonderful filigree. I added some Viva Silver Crackle Paint in certain areas, and then once dry, a bit of Alcohol Inks for "texture". 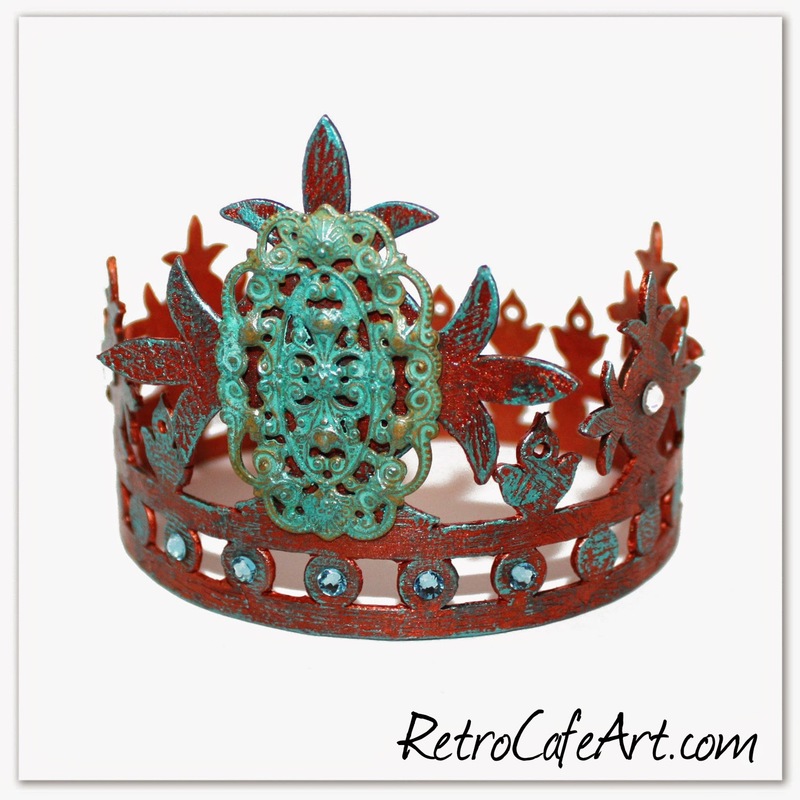 I gave Crown 3 a bit of Inka Gold (Hematite and Turquoise) around the edges. I love all three "metal" looks. INKA GOLD TIP: This is a good one folks. Over time, Inka Gold can become dry. To prevent this, and/or to rejuvenate a dry pot, store with an unscented baby wipe inside. This will keep it moist. Simply replace the baby wipe once it dries. This really works people! Mine is always baby soft :). Next up, my favorite part. EMBELLISHMENT! 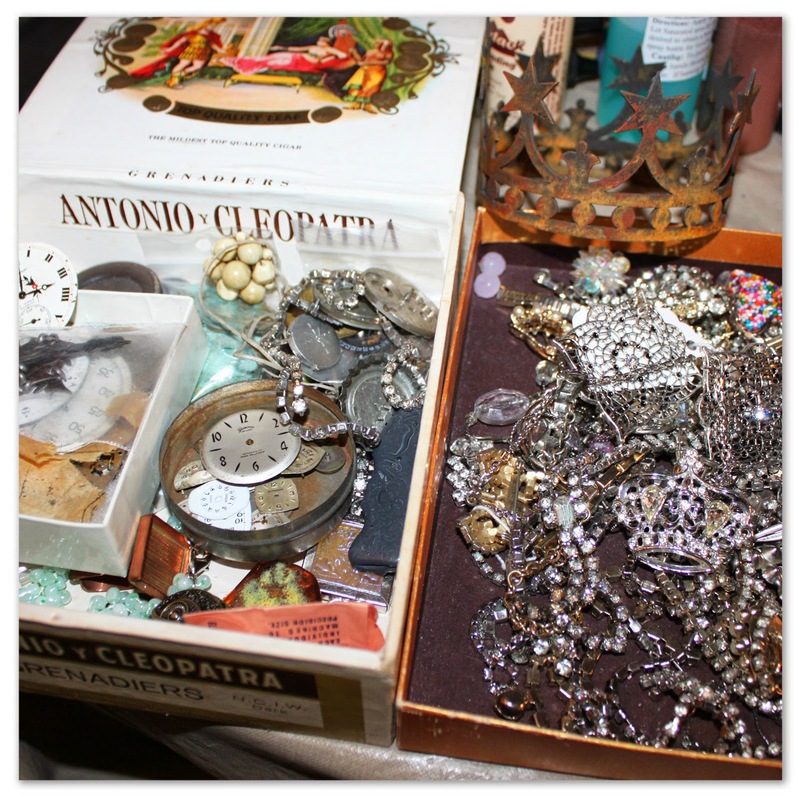 I pulled out a few of my bling boxes and went to work. If you are like me, this photo makes your heart beat a little faster. 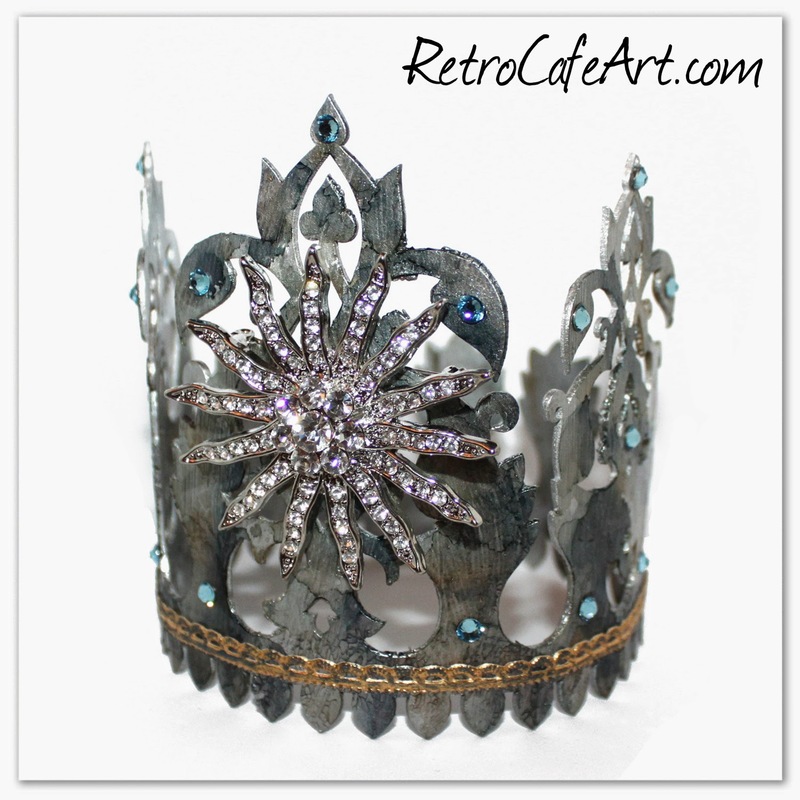 The gorgeous large bit of bling above is actually a brooch. Pinned right around the chipboard. I can change it out if desired! I plan to display all three on my fireplace mantel. 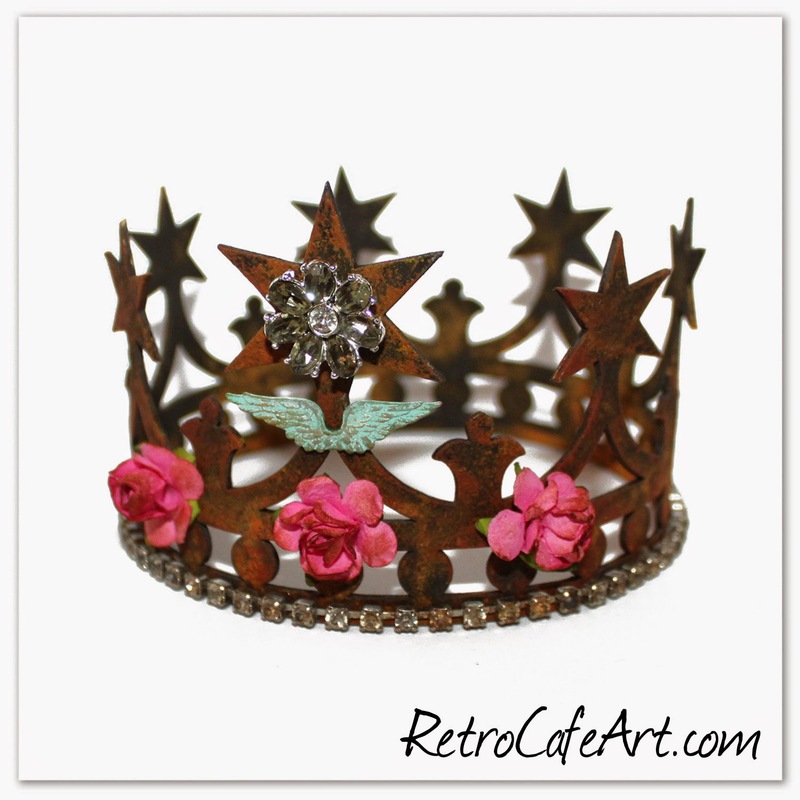 Or perhaps one of my composition dolls is in need of a crown! Of course if I ever manage to grab an antique Santos Doll, she has first dibs! And for those of you who love beauty and function, I give you this unique Santos Doll Box Kit! 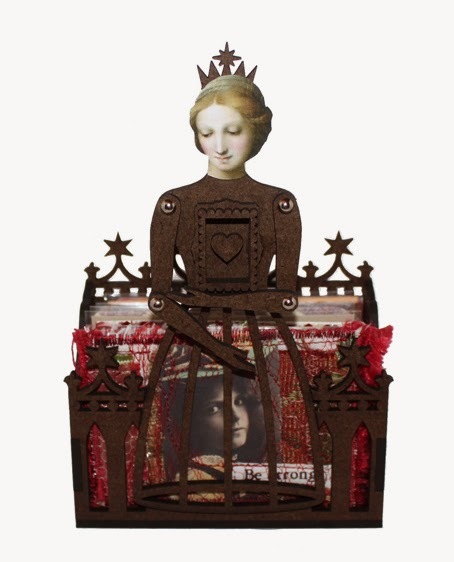 She's quite lovely, AND can hold your treasures. As you can see, she can hold lots of ATCs, or anything else you might desire! I love how you can see the ATC peeking through from behind her cage skirt. I hope to find some art time to play with her as well! I just love this Stand Up Steampunk Cameo Man by Diana Darden! 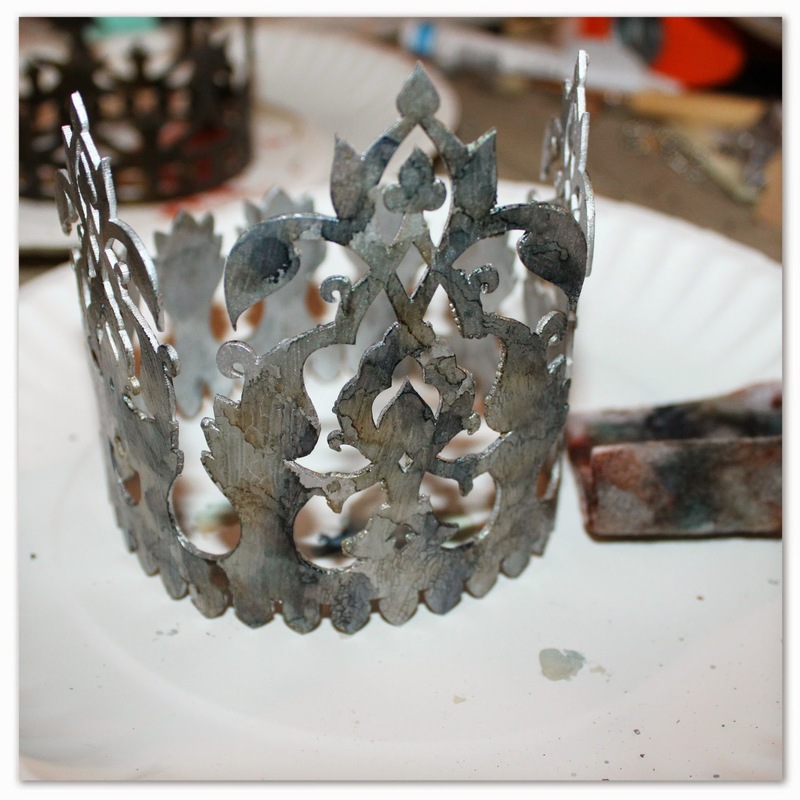 Often when I'm designing, I imagine how a finished piece might look! Diana captured that vision and MUCH more! Thank you Diana. Awesome! 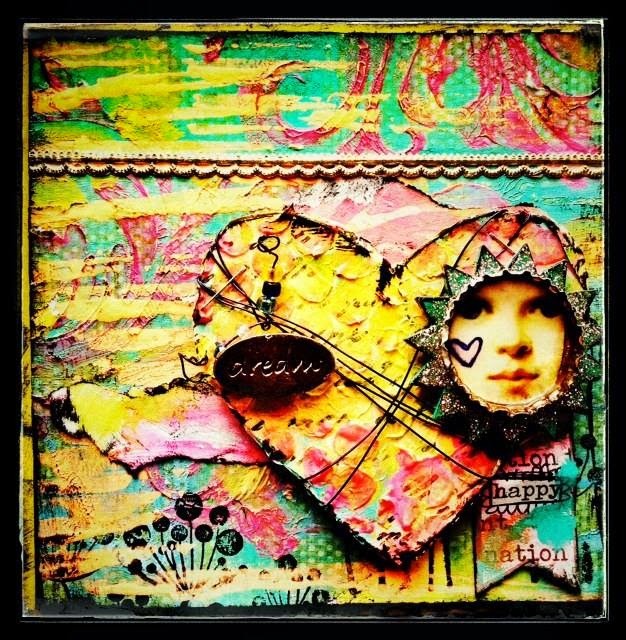 Design Team Member Amy Nieman created this bright and happy collage using our Sun Frame Cut Outs, Collage Sheet CV24, Flourish Stencil, Mini Gold Scalloped Dresden, and more. This stunning piece makes me think of Summer and the lovely warm months to come! Thanks for the happy Amy! These peat pots by Design Team Member Lynn Stevens are just adorable. Lynn used our Egg Cut Outs, Bird Word Paper Cuts, Fences, and several of our Spring Collage Sheets. Beautiful job Lynn! I love that these can work for Easter and Spring. 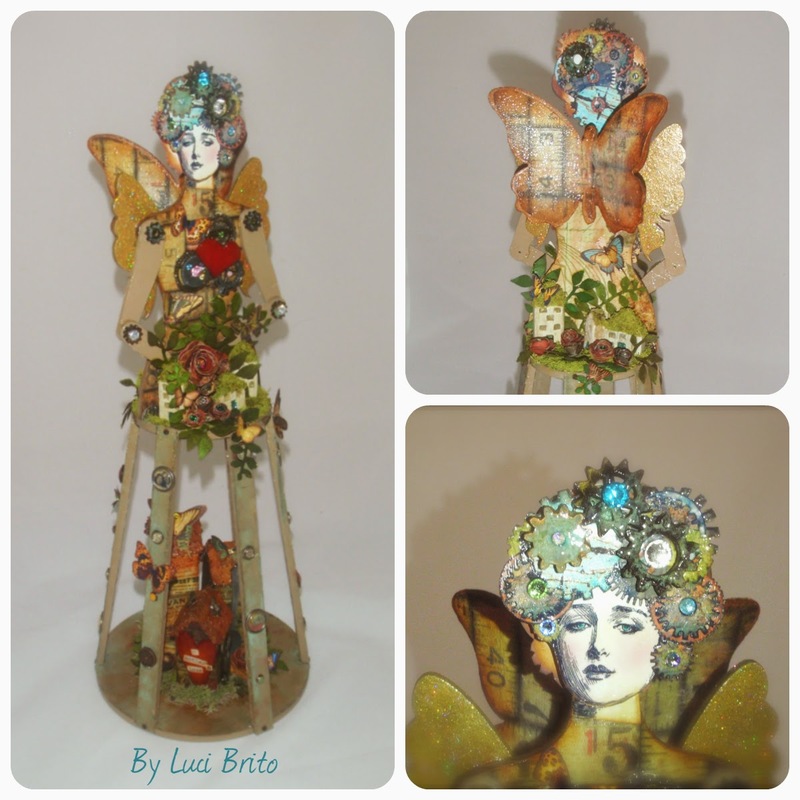 This stunningly beautiful Large Santos Doll is by Luci Brito! 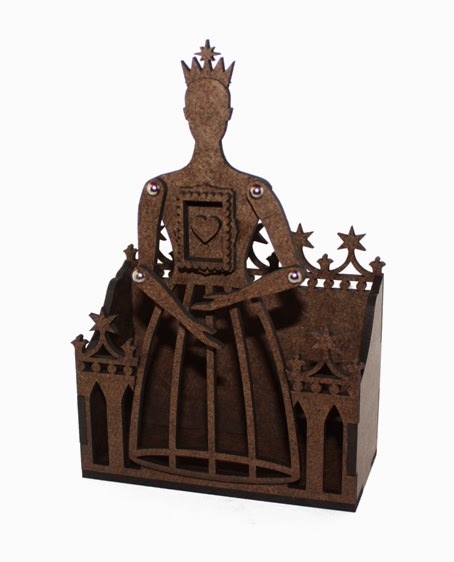 I love how she also tucked our Chipboard Towers inside her skirt and used the Gear Head Collage Sheet for her face! I can always spot Luci's work by her gorgeous handmade paper flowers. I'm a lucky girl to own several of her original pieces. They are even more amazing in person. Incredible Luci! Luci's doll is absolutely gorgeous! Love her! Kristin, your Design Team rocks- and your customers show some pretty awesome pieces also!! Love the inspiration! Oh my, what a beautiful collection!!! 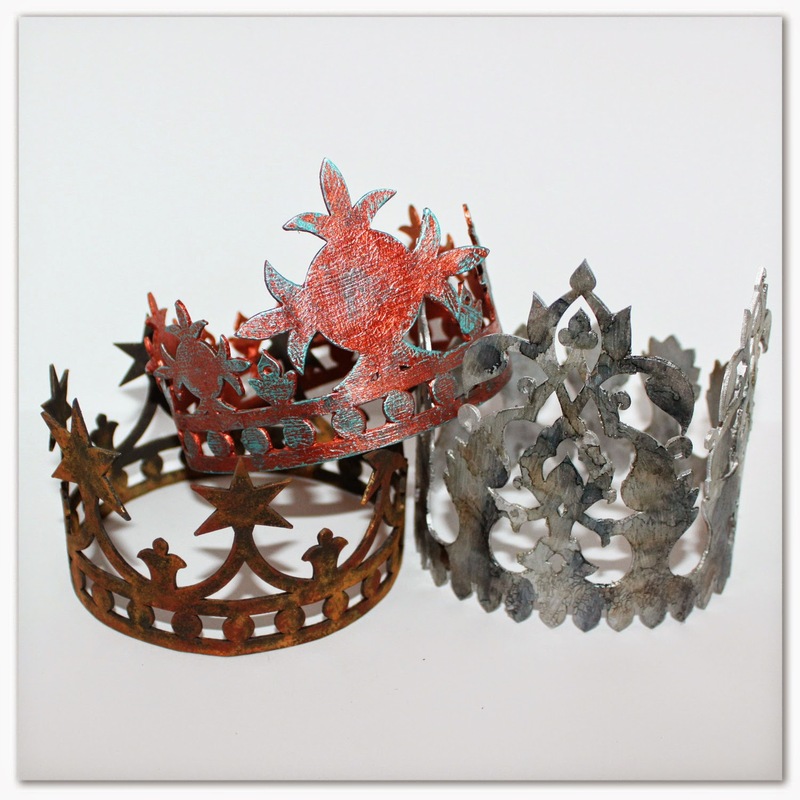 Makes me want to make a crown!